UAE fashion label Twisted Roots has won the competition to design the uniforms of the 30,000-strong work force and volunteers for the upcoming Expo 2020 Dubai gala. 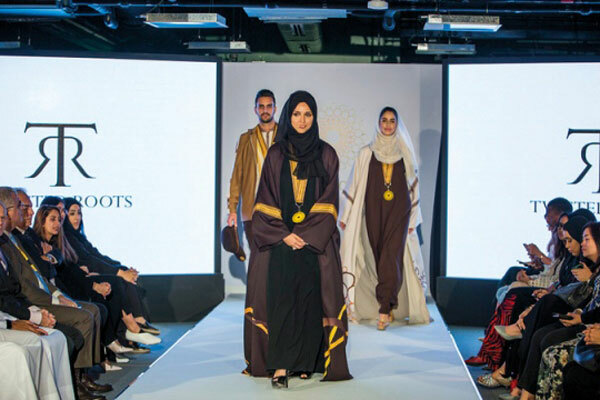 Emirati designer Latifa Al Gurg, the founder of fashion label Twisted Roots, emerged victorious after going head-to-head against two other finalists in a style showcase at Expo 2020’s newly opened House of Volunteers. The competition was launched to engage the local fashion community and offer designers the chance to become an integral part of the first World Expo ever hosted in the Middle East, Africa (MEA) and South Asia region. Headed by Reem Al Hashimy, UAE Minister of State for International Cooperation and Director General, Dubai Expo 2020 Bureau, the judging panel comprised Expo 2020 staff from various departments and volunteers, as well as Manuel Arnaut, Editor-in-Chief of Vogue Arabia; Sass Brown, Founding Dean, Dubai Institute of Design; and Innovation and Jazia Al Dhanhani, CEO, Dubai Design and Fashion Council. With this World Expo, the Emirati designer will get to showcase her chic but sustainable creations on a global stage. On her win, Al Gurg said: "I am honoured and privileged to have participated in this competition and to win it is a dream come true. Ever since Dubai triumphed in its Expo 2020 bid, I have felt it was important for me to be part of this national milestone. I took up this challenge as I wanted to showcase my nation’s culture and achievements through my designs." Practical, modest, weather appropriate and easily identifiable, Twisted Roots’ winning concept combines traditional and modern cultural references, and takes inspiration from the sky, the stars and the desert, she stated. "The concept also incorporates the Expo 2020 subtheme of Sustainability by encouraging people to donate their old fabrics, which can be recycled to help create the new uniforms. Old polyester fabrics, for instance, can be stripped and reused to weave into collars and cuffs," she noted. Dr Hayat Shamsuddin, Vice President, Arts and Culture – Content and Programming, Expo 2020 Dubai, and a member of the evaluation panel, said: "It is essential for the Expo 2020 uniform to truly reflect the UAE’s culture and values, while also acting as a symbol of our creativity, innovation and evolution. The judging panel unanimously agreed that Twisted Roots successfully integrated all these elements in a thoughtful and elegant way." Al Gurg said: "My journey so far has been incredible; I have grown immensely through this process. I have learnt so much about the UAE and what it means for us to host the next World Expo."